The brazilian student G.N. 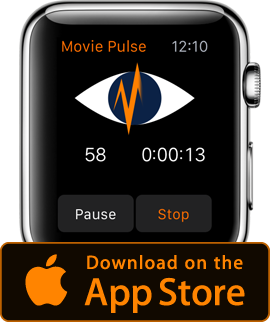 has send me his first Movie Pulse result: “Life” of Daniel Espinosa. This movie has been a solid outer space science fiction to me, whose crew experience felt quite intense. I’ve literally been part of their crew. I reject the “Alien-alike” bashing of this movie. It had a serious impact to me – encounter a life form of this aftermath combined with it’s inconspicuous appearance. But this is it so far on discussing the (subjective) quality – I tend to show some nice similarities across oceans, borders and time. G.N. and me have had some strong identical reactions while watching this movie. I made again a simple image multiplication and only shifted the base line. The first two thirds are somewhat ok, but the reactions at the last 30/40 minutes are almost identical. Shifting the base line for each third would have unfold more similarities even within the first hour. The overlapping represents similar reactions of two people of different origin and age watching “Life” · 2017 at different locations and dates. These are the original graphs drawn by Movie Pulse.